The triennial “University of Wyoming Art Department Faculty Exhibition” showcases the creative work of the department’s faculty. Artwork includes painting, sculpture, drawing, photography, graphic design, and mixed media. Participating faculty members are Diana Baumbach, Ashley Hope Carlisle, Peter C. Fine, Brandon Gellis, Leah Hardy, Margaret Haydon, David Jones, Patrick Kikut, Ricki Klages, Mark Ritchie, Rani Robinson, Bailey Russel, Doug Russell and Shelby Shadwell. 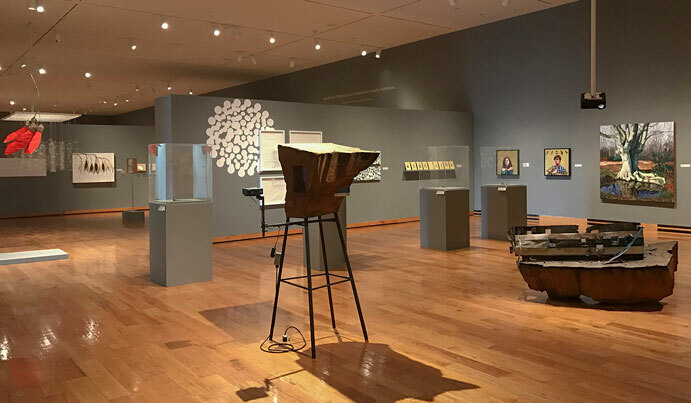 Individually, Department of Art faculty exhibit their work in national and international venues; the “UW Art Department Faculty Exhibition” is an opportunity to view their new work collectively.